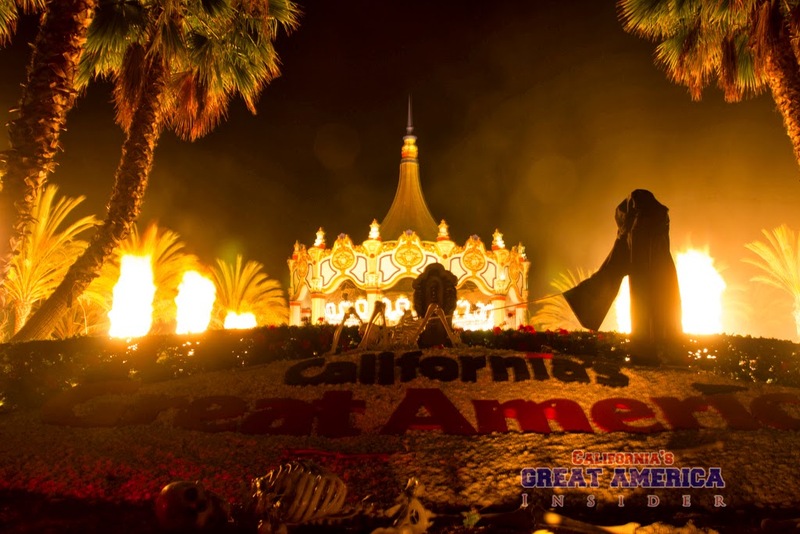 California's Great America's 6th annual Halloween Haunt event just started. 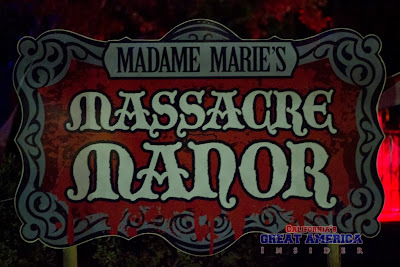 CGA Insider was invited to the Haunt VIP event which included complimentary entry into park, the new dining option "Madame Marie's VooDoo Chophouse" and exclusive ride time on Gold Striker. 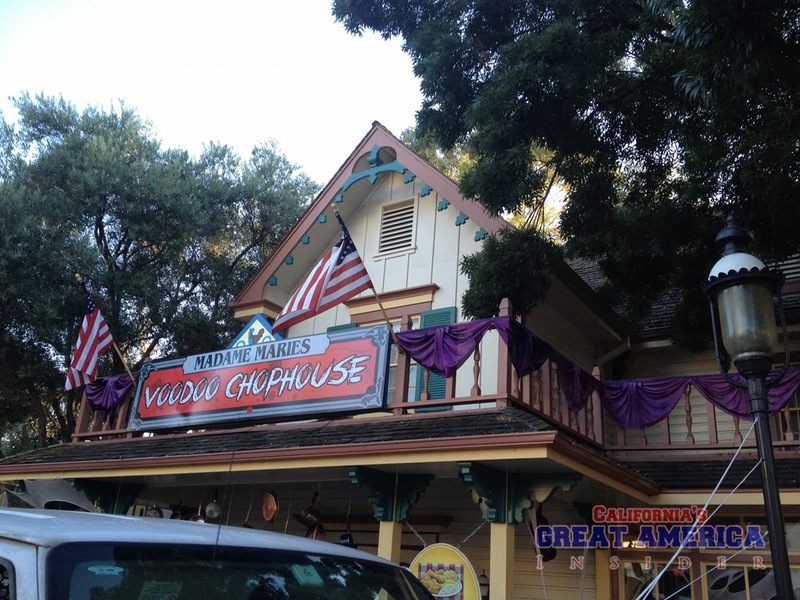 The evening started off with Madame Marie's VooDoo Chophouse, the park's 'upscale' dining option. 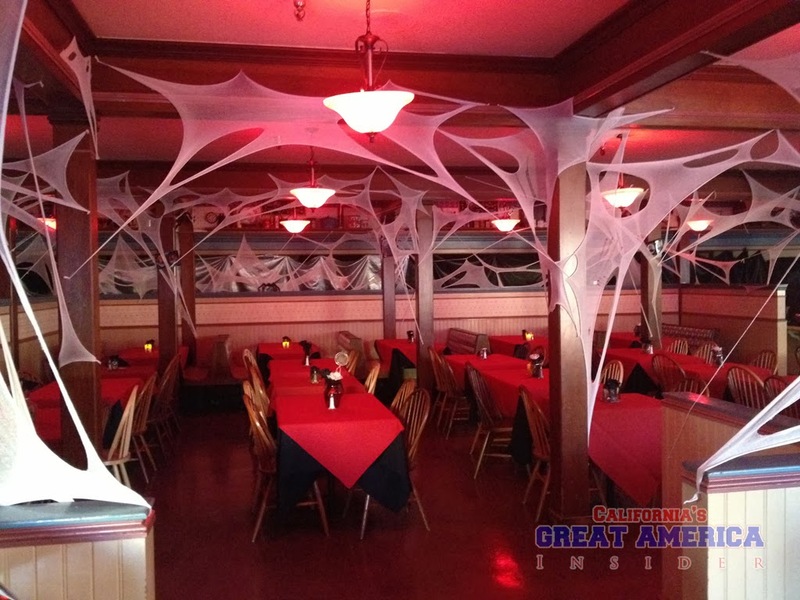 This all you can eat buffet takes place in Maggie Brown's and includes different food from the park's basic Fright Feast option (formerly known as Pre Scare Boofet) such as prime rib, fried catfish, Maggie Brown's fried chicken, red beans and rice, cesar salad, and more! 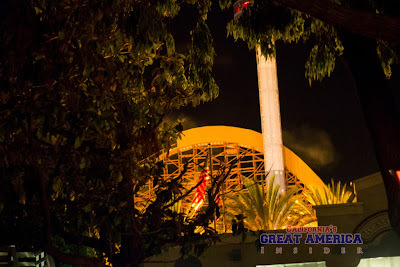 If the tasty menu was not enough, thrown in was bonus ERT on Gold Striker (from 5-7) and a single use Fright Lane pass good for a single maze. 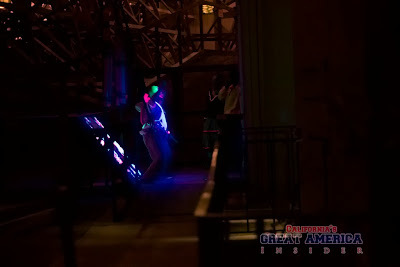 The Gold Striker ERT was a nice surprise as there was literally no wait. 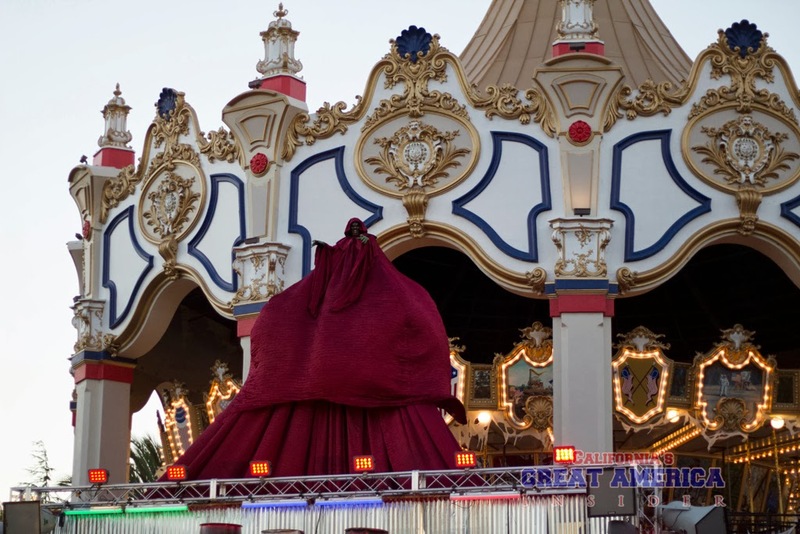 Riders could marathon the ride until 7PM, when Haunt opened. 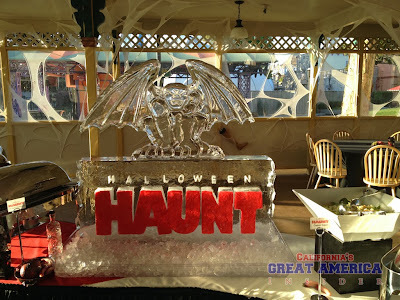 Now let's take a look at this season's Haunt's offerings! 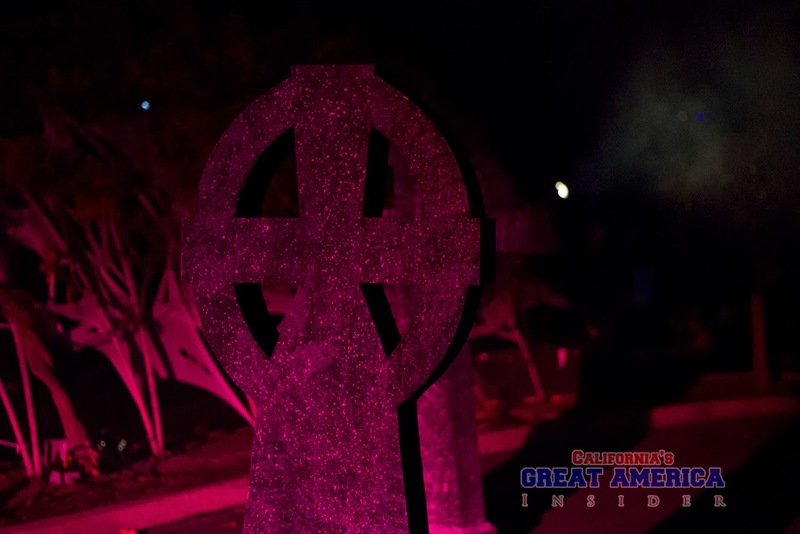 This maze was formerly ran at Great America's sister park, Knott's Berry Farm. This colorful maze is themed to Dia De Los Muertos, the Day of the Dead. 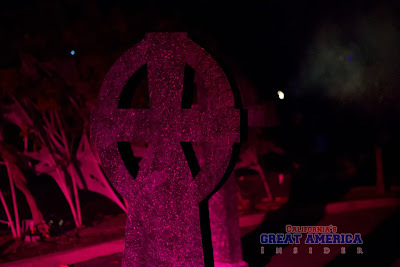 Dia De Los Muertos replaced Club Blood, one of CGA's original mazes when Haunt first opened. Club Blood felt like it was only struggling over the seasons so it was due for a replacement. Design: This maze, as mentioned is very colorful! Like CarnEvil, this maze also utilizes the upcharge $1 3D glasses. Using the glasses definitely enhances the vibrance of the maze, and can also be headache inducing for some. I managed to go through the maze in its entirety fine however. In the end, this maze is very vibrant regardless of the 3D glasses. The whole Day of the Dead theme was pulled off rather well. There's a moment where you're walking through a bar, to the next moment where you're going through a church. Toward the end you venture through a rather well-done jungle as you are actually winding your way around inside the defunct Pictorium. Scares: While there were a few good scares (Startle moments), this maze appears to live off of its visuals. 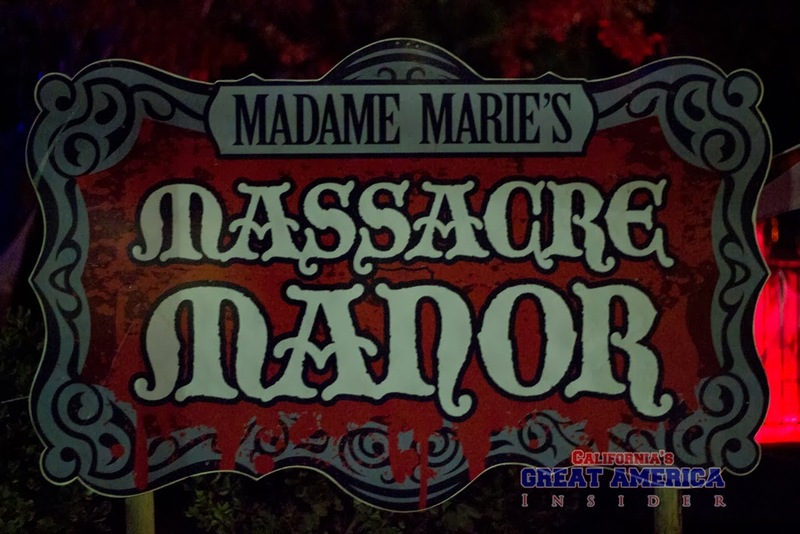 It's not really meant to be a gore-fest unlike its neighboring Slaughterhouse maze. Overall: This was a pretty solid maze, even if it isn't the scariest. It is what I like to describe as "eye candy." This is also a "headliner maze," meaning that it's located at the front of the park and is one of the first mazes people will run into. The lines remained consistently full Saturday night, making the front of the line pass a must use. Zombie High is CGA's other new for 2013 maze, located behind Grizzly taking up half of the area where Cornstalkers sat. The maze is located inside of a newly constructed metal building. So let's take a trip inside Bayside High School! Design: This maze was done up to look like a high school, featuring several elements we'd expect to see in a high school setting. This included the band room, chemistry class, library, nurse's office, and even a high school dance! For those who are no longer in high school or even college will feel a sense of nostalgia whether it's the classic desks we sat at or the old overhead projectors. Also, you have to love Bayside High's turtle mascot! On opening night, it seemed as though it were too bright inside and as it had just opened, not all of the talent were quite in their groove. 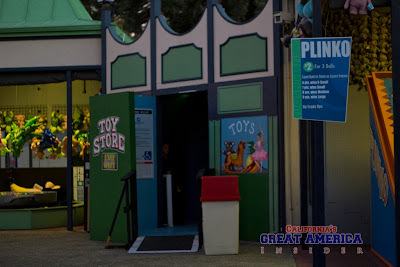 While there may be no lines initially as it's at the back of the park, the trade off is a possible lackluster first impression, which the left maze for us initially. Doing it the second evening proved to be a better experience as there appeared to be more talent and talent had more of a grasp at their technique. Also considering this was opening weekend, the outside maze facade appeared to be incomplete as it wasn't quite painted yet (for an unspecified reason). It could be different come following weekend! Scares: There could be some great scares to be had in here, especially if you fear zombies. Some of my favorite spots were walking through the closet hallway (where marching band uniforms hang), the zombie on bungee cords in the lecture hall/theater (he actually lunged inches toward me before quickly flinging back to his platform), and the gym/school dance (where I had to figure out which were live actors and which were just mannequins). Overall: While ZH originally left a lackluster impression, it has potential to be a solid maze. Where this maze loses some points however is where you can see the upcoming rooms from even toward the beginning of the maze...potentially taking away from any surprise elements. The 2009 maze gets a major overhaul for the 2013 season, giving off a fresh new experience. While the layout is essentially the same, much of the rooms have changed. 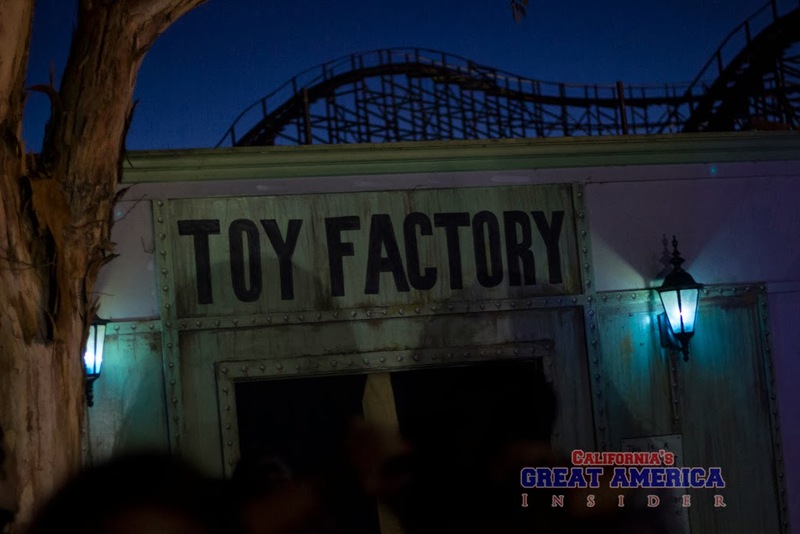 Toy Factory was famous for it's unique ending, where guests navigated down a dark, claustrophobic hallway (hallway made of inflatable walls that would squish guests). Design: Toy Factory is a huge nostalgia fest for Haunt's target audience. Their childhood toys become their worst nightmares. There are many different rooms including the classic strobe light bedroom (which is quite odd to walk through), game room (which was revamped), and another room with games that had a mini card maze where you can quickly ditch your friends. From here, something was dramatically changed. Gone is the claustrophobic hallway and instead, you are lead to the cargo room. In a sense, this was probably a smart move as the hallway always provided traffic jams and greatly lowered maze capacity. For Toy Factory fans, this was actually a huge disappointment. The maze ends with the toy store. Scares: Raggedy Ann may give you the creeps. I actually had a quick spook in the strobe room where the dolls appeared from nowhere. While it didn't make me jump, it was more of a "Woah, how did she just suddenly appear?" experience. The talent was really into what they were doing. Even Sonic the Hedgehog makes an appearance! Of course, this may not quite be the Sonic you'd really want to encounter! Overall: Toy Factory remains to be a solid experience even though one of its highlights was removed. It will in the end help increase capacity. Lastly, you can't go wrong with its annoyingly catchy theme song! Cornstalkers was revamped to make way for Zombie High and now takes place on the opposite side of Barney Oldfield’s track, closer toward Demon. This is no longer the park’s longest maze but that is not a bad thing at all. 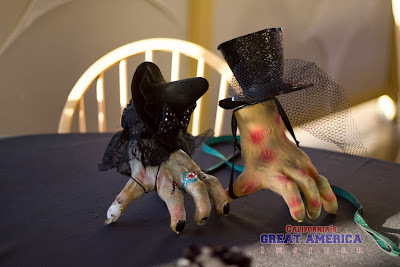 Design: As mentioned, Cornstalkers was dramatically altered due to the new for 2013 Zombie High. The original maze was the park’s longest maze but was perhaps too long for its own good. The long length left talent too far spread out and the maze didn’t pick up its pace until the second half. 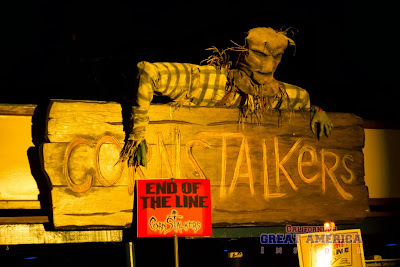 With the revision, Cornstalkers now starts off in what actually now feels like a cornstalk maze. You are assigned to 1 of 3 entries which eventually merge to a main path. The tight corners can provide some good hiding places. Once out of the cornstalk maze, you pass by the familiar trucks and vehicles as well as the humorous outhouses (complete with farting noises). The maze wraps up inside of Grizzly’s first and final turnaround. Scares: As noted above, the first part of the maze with high walls and tight corners actually give a sense of uncertainty. I was fortunate enough to visit this maze when there was no line and the group could pick any path. I decided to take a path solo and it was a completely different experience going down an empty path. Lots of fake costumed characters are blended in with some real characters, building up suspense. Overall: Cornstalkers is hugely improved. There are no dead spots and the maze does not drag on forever as its predecessor did. This feels like a fresh new experience. The maze starts and ends in the same vicinity, no longer disrupting any flow if you’re visiting the mazes in order. Now that we’ve looked at some of the new/revised mazes, let’s take a look at some of the classics. MMMM was new for 2012 and remains to be the same experience as last year. MMMM is one of those mazes in which there’s a lot of attention to detail. In fact, we are still finding things in there that we missed on previous visits. This maze is located near the former Invertigo site. 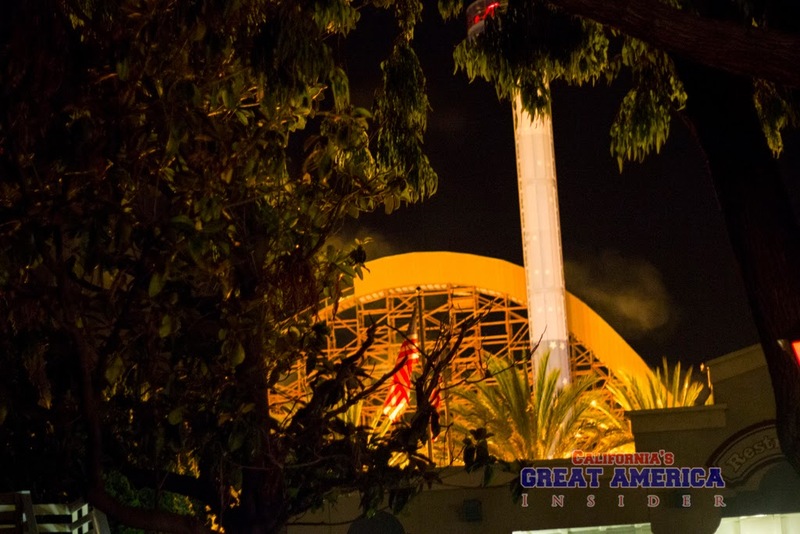 In fact, the metal building structure sits on the spot where Invertigo’s lifts were. Design: MMMM is themed to a mansion and the practice of Voodoo. The maze uses a lot of antique props and dim lighting to really make this feel like you’re walking through an old mansion. It is actually easy to forget that you’re really in a metal building. The amount of detail in this maze is top notch and the lighting is just right. As guests navigate their way through the maze the end in a cellar with a nice surprise scare! The music is also amazing and really adds to the mood of the maze. Scares: This maze is loaded with potential scares. Not that we want to spoil anything but there’s been quite a few startles to be had in the portrait hallway. You never know what is going to happen. The lighting in the maze also helps hide some of the characters and can appear to come out of nowhere. Much of the talent are also really into their act and add to the feel that something bad is about to happen. Overall: This is actually one of our favorite mazes for the above mentioned reasons. The lines can get long for this so it’s best to visit this maze early before the crowds make their way toward the middle of the park. On opening weekend, the lines actually remained pretty short even after doing the back of the park mazes. Things can and will change as we go further into Haunt season. Slaughterhouse was one of the original mazes from 2008, located near the new Gold Striker and Xtreme Sky Flyer ride, and was given a facelift in 2011. Not much has changed about this maze since its debut and remains to be the gore fest it’s always been! Design: Slaughterhouse Annihilation portrays a slaughterhouse, using people instead of animals for meat production. 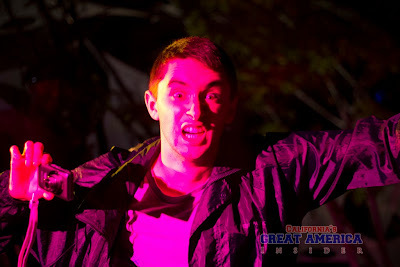 The maze is probably one of the goriest, grossest mazes in all of Haunt. It is also very dark and oftentimes hard to navigate due to the immense amount of fog used inside. Lack of visibility actually makes this interesting as you absolutely don’t know what’s going to come out at you. The audio used in Slaughterhouse is very fitting as well. Unlike Toy Factory (in which its ending element left fans disappointed), Slaughter House has it’s squishy hallway running. 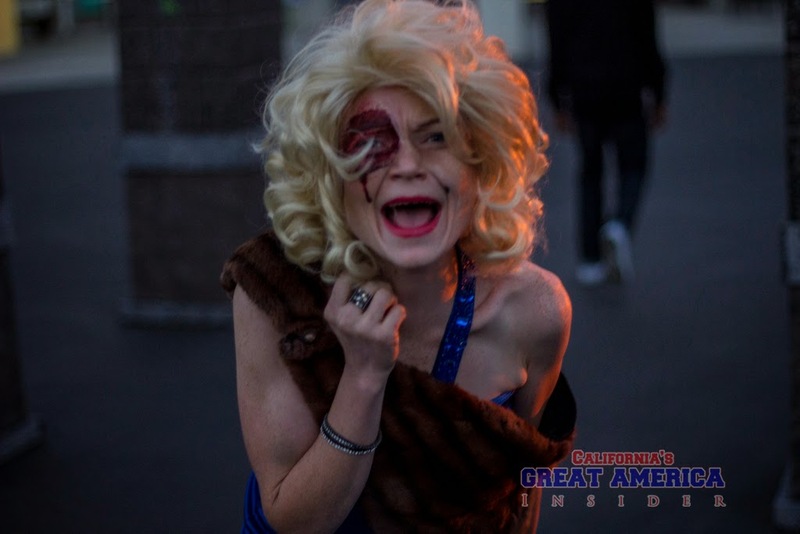 Scares: If you’re squeamish, this maze may not be for you. As said, this maze is a gore fest. Dark corridors offer ample places for monsters to hide and get you. However, this maze doesn’t have a lot of sudden ‘pop out’ scares, and heavily relies on characters staying in character. Depending on staff, this can make or break the maze. Overall: Yet another solid maze and one of the “headliner” mazes in which everyone entering the park all flock to first. It is best to do this maze later in the evening when crowds have dispersed throughout the park. 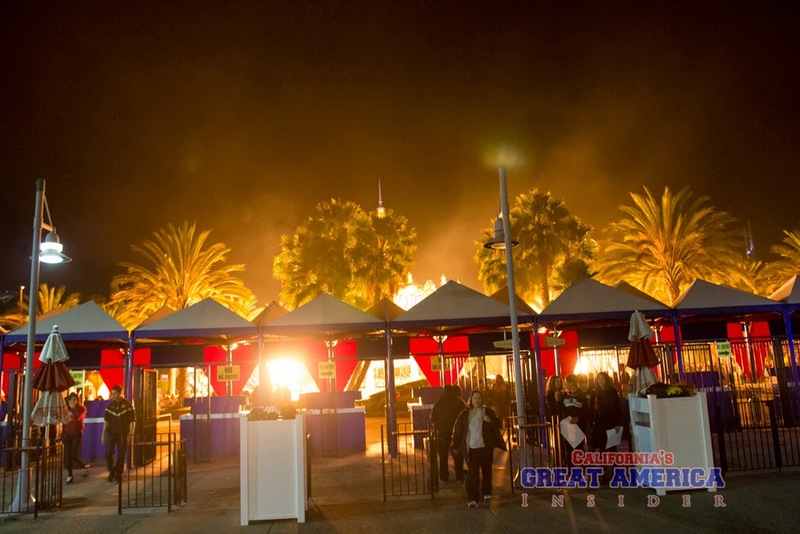 On opening night, the wait was 45 minutes and that was without using all of the switchbacks. 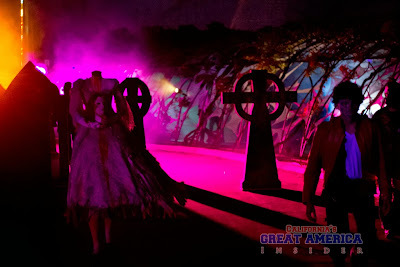 CarnEvil is another original Haunt maze that actually debuted in 2007 before Great America had a full on Haunt. CarnEvil ran afternoon through closing in 2007 and was free to experience. This maze was the first maze for the park to have in the park’s history and served as a “demo” for what was about to be in store for the 2008 season. 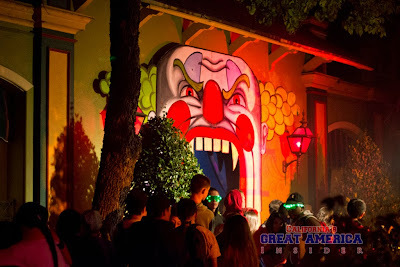 Design: CarnEvil is a brightly colored maze with heavy use of black lights and fluorescent paint. Due to the nature of this maze, guests can purchase $1 3D glasses to enhance their experience. Inside the maze there’s classic carnival and amusement park-themed elements including a small hall of mirrors, broken carnival games, a cotton candy hallway, and freaks in a ‘freak enclosure.’ Lastly, one can’t go wrong with the theme song played in CarnEvil. 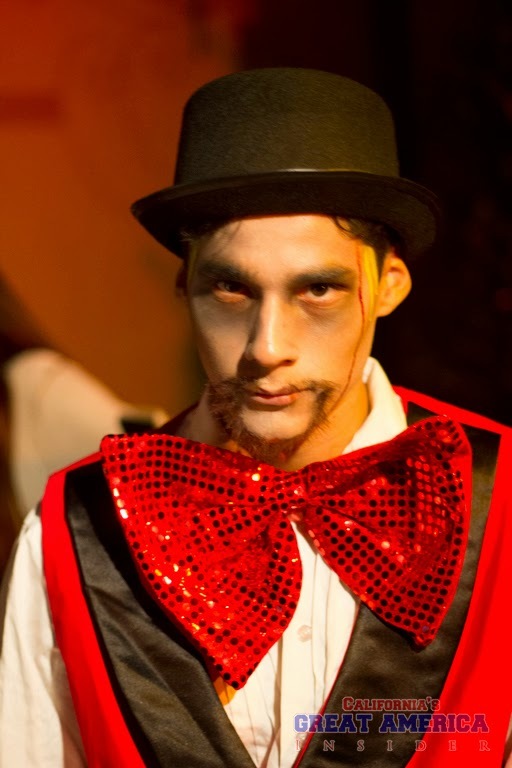 Scares: This maze utilizes a lot of ‘startle scares’ via sudden movements and loud bangs. 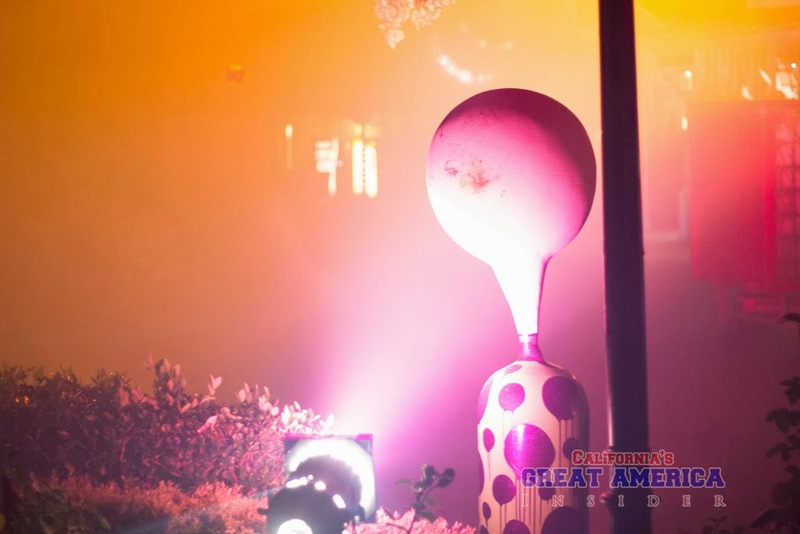 There are also elements where clowns are camouflaged with the background (polkadot hallway), or the cotton candy lady hiding among the cotton candy coated walls. 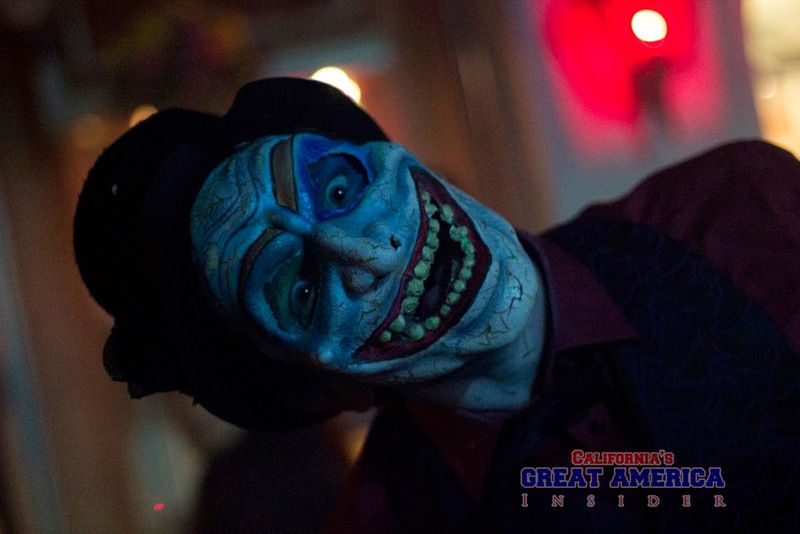 Many people suffer from coulrophobia (fear of clowns) further adding to the experience. 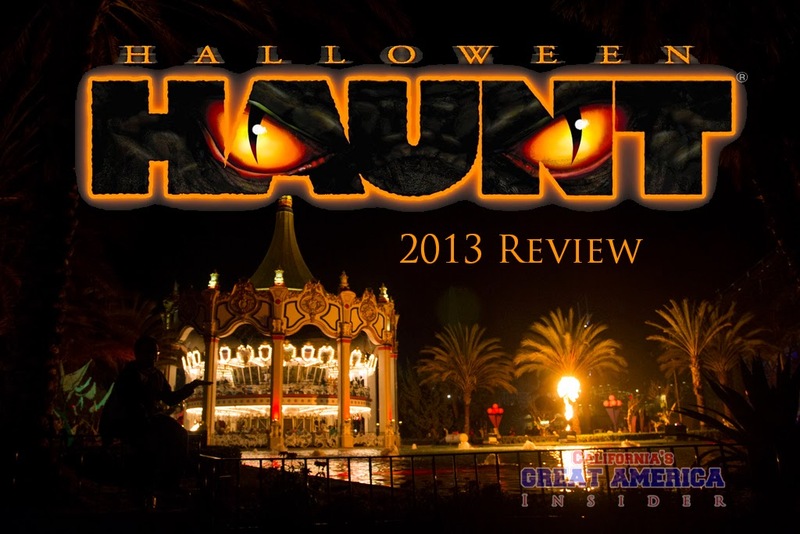 Overall: While this is Haunt’s oldest maze, it remains one of our favorites. It’s a classic and it’s a keeper! It’s advisable to visit this later though the lines can remain lengthy throughout the night. We waited 15-20 minutes at midnight on opening weekend. 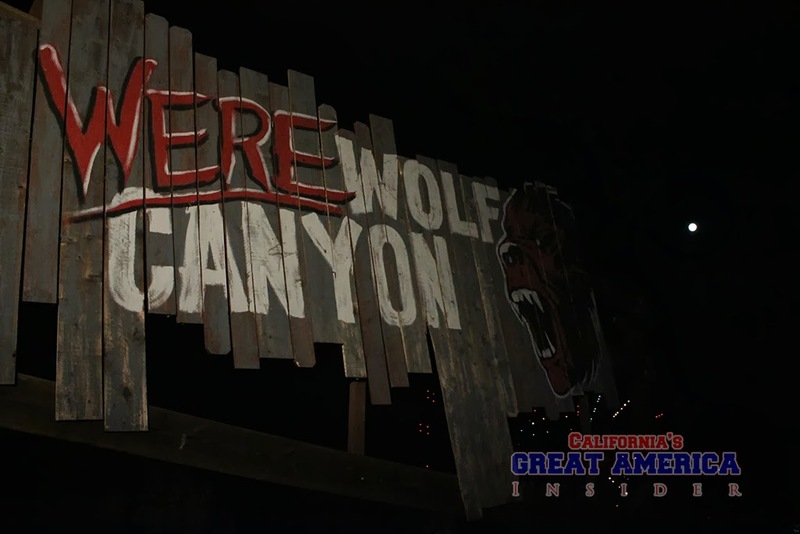 Werewolf Canyon is the second oldest and completely unchanged maze inside the park, which debuted in 2008. Werewolf Canyon uses the River Rapids turntable and exit path. This is one of those mazes that once started off great but somehow fell into a slump. Werewolves used to use chainsaws which really added to the atmosphere but ever since they were removed, much of the scare factor has diminished. Let’s take a look at how it’s doing this year. Design: As said, the layout and elements have remained the same since 2008 and is probably due for a revamp. 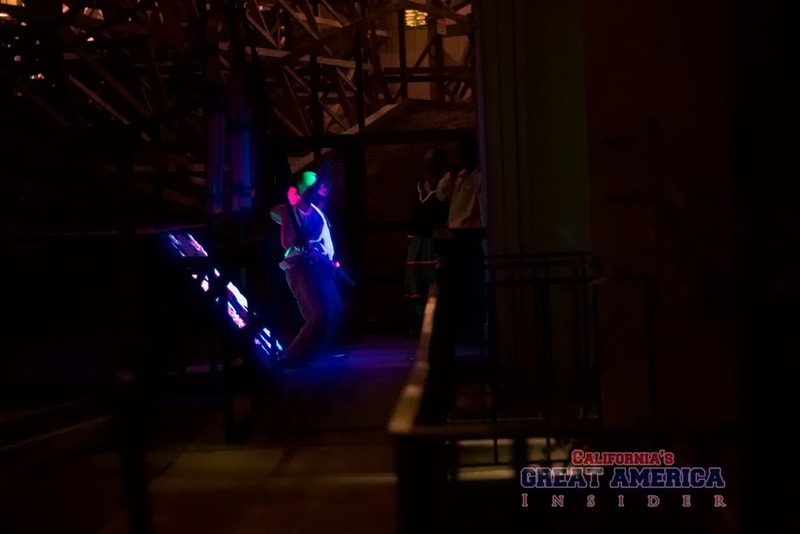 The maze starts off on the rapids turntable as you walk through a cabin. You exit out the back door and take a long walk through the woods where werewolves run amok. It is very dark once you reach this spot. After a long stretch of dark woods, you navigate through a burlap sack maze outfitted with bright strobe lights. As you push the burlap strips out of the way, you may come face-to-face with a werewolf which can be quite startling! Scares: This maze was in a slump over the past few seasons but seems to be improving. Our favorite moments are along the back area where a larger-sized werewolf blocks the path and stands as still as possible. When you least expect it, he lunges toward you. The burlap sack maze section is another great opportunity for some good startles. 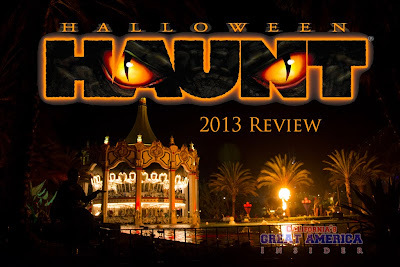 Overall: This maze isn’t perfect and still lives as the weakest maze but has improved quite a bit over the seasons. More of the characters are getting into their character and adding to the atmosphere. It would be nice if the park brought back the chainsaws. Great America has 3 scare zones, areas where monsters free roam the midways and scare guests as they walk around the park. The park originally had 4 of them but one was retired in 2011. 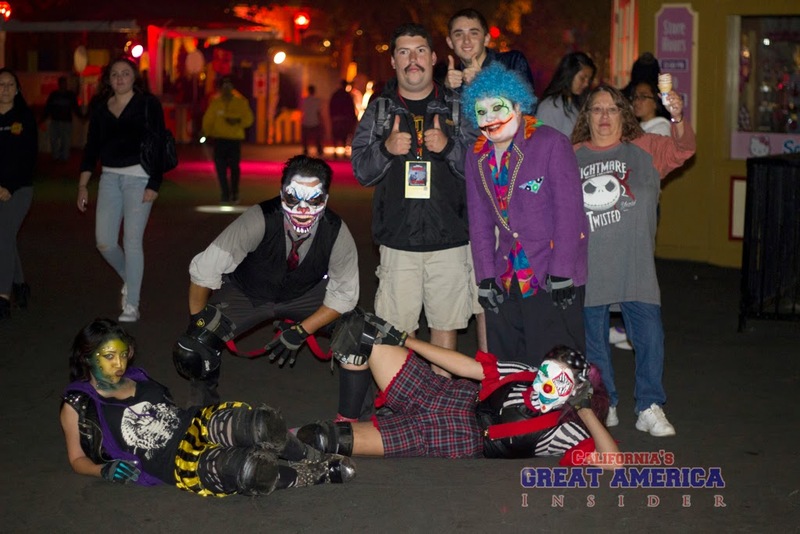 This scare zone is located just out in front of CarnEvil and is loaded with clowns and freaks! 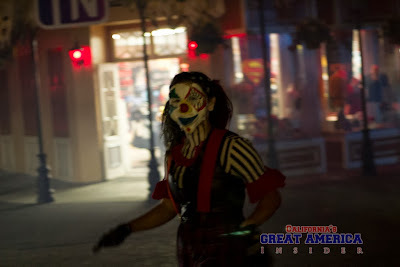 The mix of lighting and fog provides moments for clowns to come out of nowhere, or for a slider to come sliding out in front of you. 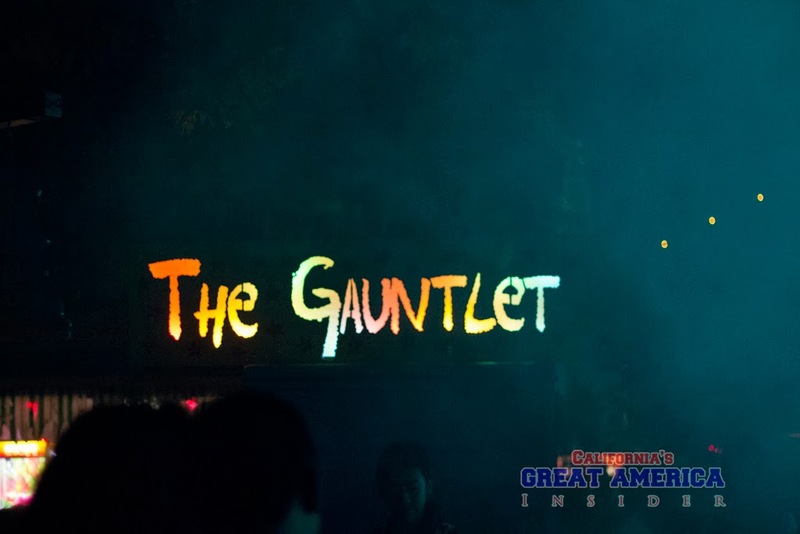 The character is really strong in The Gauntlet and has always been one of the strongest scare zones over the seasons. 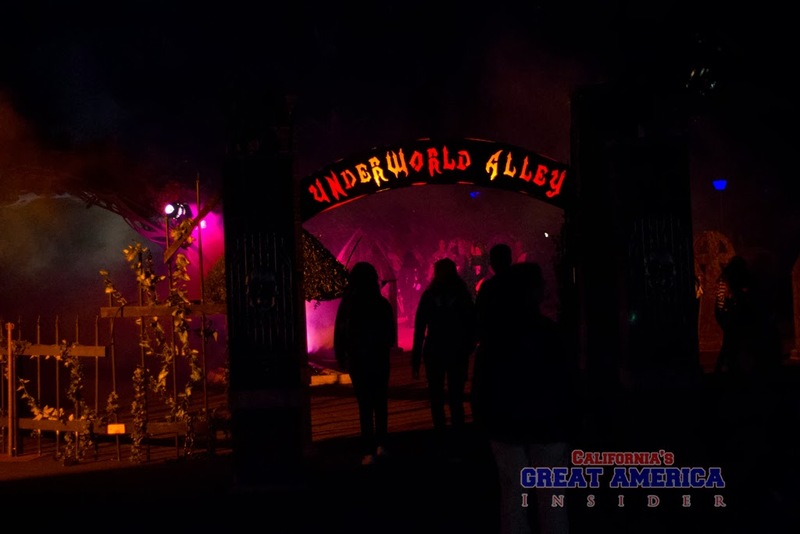 Underworld Alley is located right in front of Demon (how appropriate!) and has sometimes rivaled The Gauntlet but has also fallen into the underworld with lackluster performance. 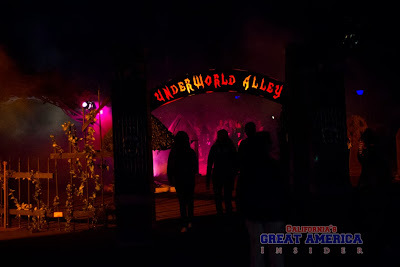 This scare zone utilizes 2 paths, one just outside of the arbor tunnel and the other going through. With the amount of staff and double paths, Underworld Alley can be a hit or a miss. We’ve walked through and found not a single minion on our venture through. Other times, we’ve been tormented by several minions! 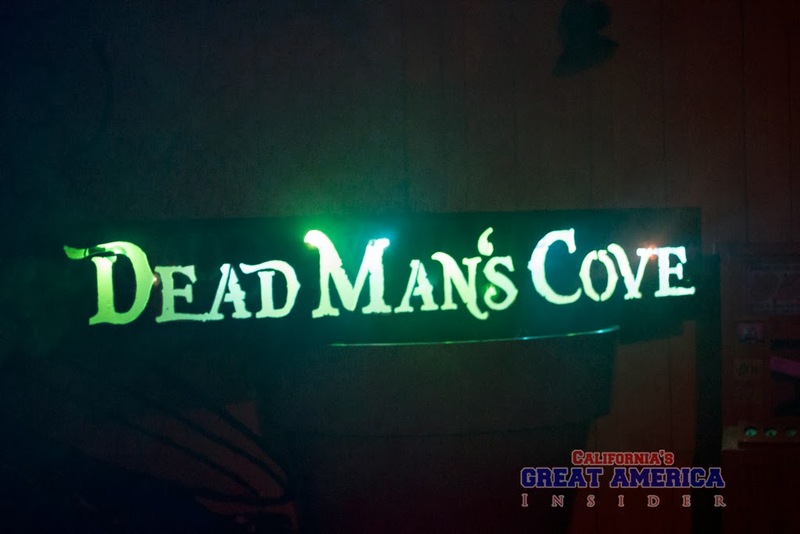 Deadman’s Cove is the weakest of the 3 scare zones. What exactly would make this the weakest anyway? First off, Deadman’s cove spans across a large area. With a limited crew, the area feels sparse. 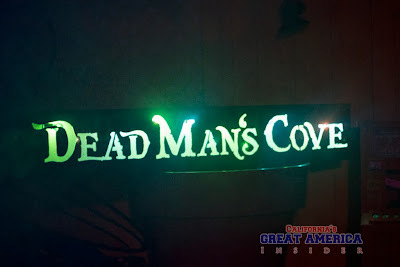 In 2011, Dead Man’s Cove was expanded into the KidZville area and was given a custom soundtrack. The soundtrack has been missing since, giving this area a nonexistent feel. Lastly and most importantly, Deadman’s cove has probably the least enthusiastic talent. 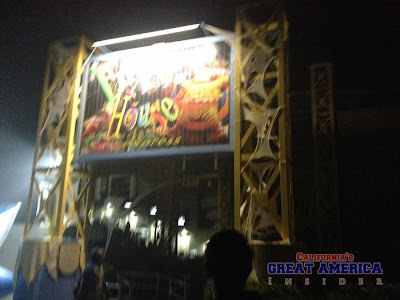 Funhouse Express is a ridefilm that was recently added to Great America’s AFX theater and runs during day and Haunt. Funhouse Express is a quirky, family-friendly film that is actually pretty entertaining and proves to be a fun ride! The ride appears to use a claymation style and despite it being from the mid 1990’s, it still looks great and the 3D effects are pretty decent. 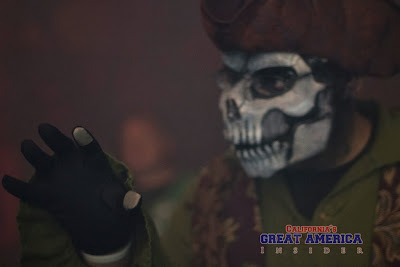 If doing both full day at park and Haunt, it’s advisable to do this during the day to allow for more time to check out mazes and shows during Haunt. Stay tuned for show reviews! Until then, here's some other random photos from opening weekend! us for Voodoo Chophouse buffet. Carousel Columbia's reflection pond. This is very dramatic! outfitted with random bursts of orange! Flame throwers light up the area rather well! 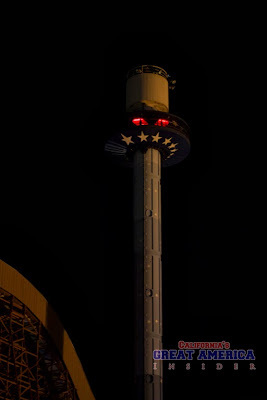 Star Tower traditionally gazes over Halloween Haunt, not offering rides. 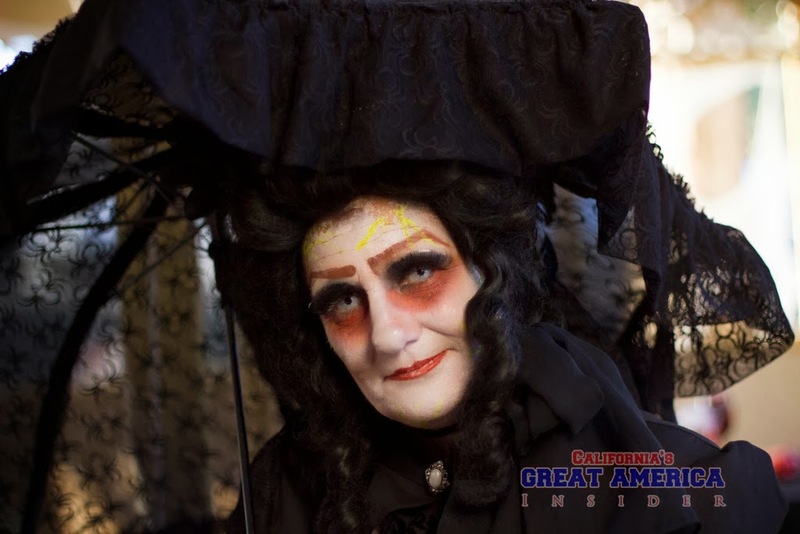 Be sure to follow CGA Insider on Facebook for in-park updates! 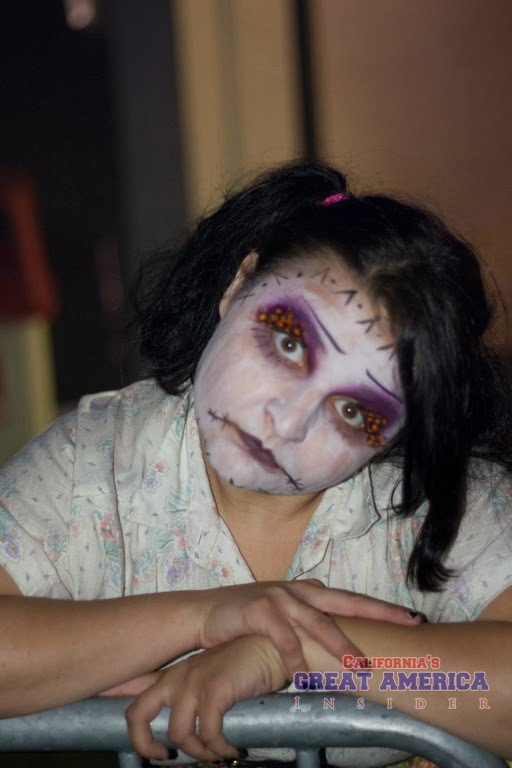 Hi there, I'm going to the Haunt and am wondering if I should choose a fast pass for the rides or the fright pass for the mazes. Are the lines worse for the rides vs the mazes? Perhaps I should purchase the meal just to have ERT on the coaster and then on top of that, the maze fast pass? Thanks. I highly recommend the Fright Lane pass. 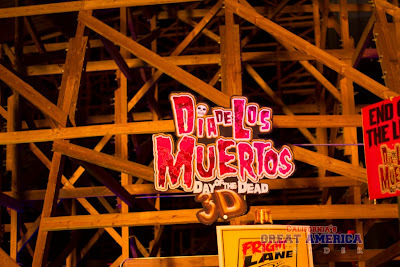 I wouldn't try to go and do both Fast Lane and Fright Lane as it's quite a chunk of money to put out. If you're a passholder, I recommend actually coming during the day for rides, then at night focus on Haunt. And definitely go for the Madame Marie's VooDoo Chophouse (which includes ERT on Gold Striker and a single use Front of the Line pass). hank you so much. Do you know if I choose the 6:30 time for the Chophouse meal, can I still come in at 5:30 to do the ERT Gold Striker rides? I think it's only until 7 or 7:30. Thanks again. I've actually really never seen the time thing in effect and nothing really showing about the given time slots at the park. Actually we purchased our meal tickets at the park and there was no mention of time whatsoever so I think you can even show up at 5 (when it starts), eat for an hour or so, then ride Gold Striker from 6-7. We got in 19 laps in an hour's time! 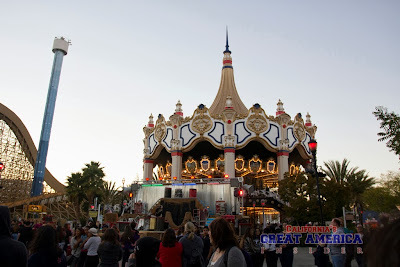 Disclaimer: This page is not affiliated with Cedar Fair, Six Flags, Santa Cruz Seaside Company, or Palace Entertainment. Any back stage/behind the scenes photos are taken with permission. 100% original photography unless otherwise stated. 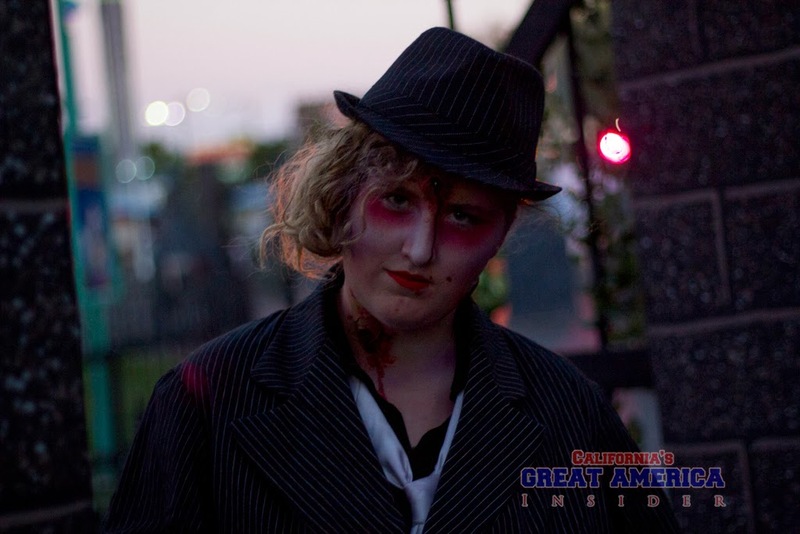 ©2015 Thrills by the Bay - . Awesome Inc. theme. Powered by Blogger.